Hello! 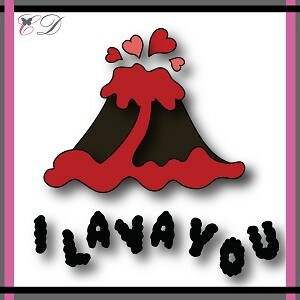 Lori here today and I have this fun card that I want to share with you that I made with the Exclusive I LAVA YOU die!! For my card I started with Neenah Desert Storm paper for the base of the card. I took some marbled blue paper and inked the edges with Salty Ocean distress ink and added it to the card. I took a piece of green printed paper ripped the edges and inked the edges with Bundled Sage distress ink and added that to the very bottom of the card. I cut out the I LAVA YOU mountain with a gray patterned paper, inked the edges with black ink and added that to the card. I cut out the lava with red paper and then I stamped it with Versamark and heat embossed it with Rose Gold embossing powder, I stamped more Versamark onto the lava and then heat embossed it with Charred Gold embossing powder and placed that on top of the mountain. I cut the hearts out with red and dark pink paper and placed them onto the card. I cut the sentiment out with red paper and put that across the top. I took some Christmas Red Stickles and covered some of the hearts and the LAVA word with it. Then I took some Fruit Punch Stickles and covered the remaining hearts and the I and YOU with it. I really love the way the lava turned out with the embossing powder! 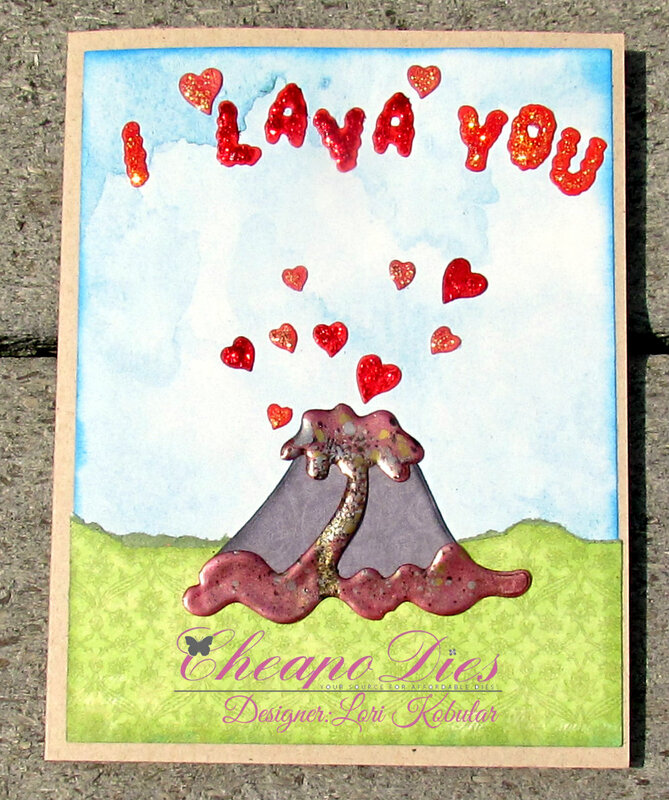 This was a fun card to make and it went together super fast with the Exclusive I LAVA YOU die! Be sure to stop back often to get more ideas on how to use these wonderful dies!! Another fun card Lori and that 'lava' is absolutely so perfect and very clever! !